Summary: My goal today is to share with you the power of small habit change as a part of a successful weight loss plan. In-house data showed a significant difference between “performance” clients and our “lifestyle” clients. The difference lay in the habits of WWS (Walk, Water, Sleep). By focusing on walking first, we saw significant improvements in health. Furthermore, the adoption of all three habits improved. This led to significant weight loss and fat loss, and improved workout compliance. Let’s remind ourselves of the global obesity epidemic. It’s not going away anytime soon, and a new report shows that about two billion people worldwide are overweight or obese. That’s roughly 30% of the world’s population who exceed a healthy weight, including adults and children. Several factors have contributed to the growing obesity epidemic, but discussing them here is not the purpose of today’s blog. Whatever the reasons, it’s happening. How do we help the people who are suffering because of it? At the moment, the system the world has been trying is not working. Human bodies come in all shapes and sizes. I don’t believe in body shaming, fat shaming, or anything else that affects body positivity in any way, shape, or form. When I or anyone at Strength Matters talk about weight loss, we talk about it in terms of health, longevity, and athletic performance. Aesthetics is not our focus. Our focus is everyday athleticism and how we can live the healthiest, most fulfilling lives possible. 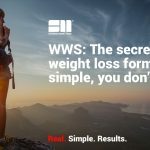 In order to lead a healthy and fulfilling lifestyle though, we often have to have difficult conversations with clients about weight and fat loss. Mainstream media mostly discusses fatness and health by focusing on medical conditions that can kill or disable us. Since we’re all going to die anyway, medical scare tactics simply don’t work nor do they motivate change. Valid points, yes, but not necessarily compelling reasons to change. Meanwhile, the fitness industry makes it all about aesthetics and getting there in the least amount of time possible. Detoxes and 21-day challenges are all the rage these days. While this motivates people for short periods of time, these “get thin quick” schemes are not sustainable and are not proven to enable long-term maintenance of weight or fat loss. Most nutritionists and diet gurus talk about what to eat, how to eat, and when to eat. “Abs are only made in the kitchen” is something we often hear. As a result, people put a huge emphasis on the food component of weight loss first. It is without doubt extremely important, and please don’t think we’re saying diet is not important for weight loss, or to health and longevity. But, if there are so many good reasons for healthy eating, why is it so difficult to actually do so? Diets only work if and when you follow them. If you revert to your old habits, you’ll revert to your old body weight again. And nothing is easier than falling back into old habits. If you haven’t exercised in a long time, trying to create a new exercise habit is hard. In fact, it can be demoralizing and downright impossible in certain situations. And trying to implement exercise and nutrition programming at the same time can overwhelm even the most willing individuals. Is it any wonder that so many people over 30 struggle with their weight? In our mind, the key to long-term weight loss success was to create a system that allowed people to develop new habits for the long haul, and keep stacking new habits onto the old habits without falling off the wagon. We found that when we put food first, client results were not as significant as they were for clients with whom we did NOT prioritize food. Weight loss clients who were prioritizing food were often the first to become less compliant with their workouts. They averaged a measly 57% compliance rate overall compared to our performance clients who were all above 92%. Interestingly, we found that the average time a weight loss client who stayed with us was three to six months, as opposed to 18 to 24 months for a performance client. We were failing our weight loss clients. We needed to address this, fast. So we looked at our in-house data to find a solution, and what we found was remarkable. Research shows that a number of lifestyle and environmental factors influence metabolism and weight control. There is simply no single reason why people gain weight or fat. We were dumbfounded. Our performance clients were walking three times more per day, drinking double the amount of water per day, and sleeping two to three hours more a night. We didn’t need to give our weight loss clients more workouts. We needed to help them master the fundamental basics of health and longevity: Walking, water, and sleep. If we can’t help weight loss clients master these basic habits, how can we possibly ask them to master nutrition? Our performance clients already had these fundamental habits nailed down. They were doing this as part of their normal daily routine. Our weight loss clients had not yet mastered these habits. With this newfound information, we put our thinking caps on as a team and went to work to develop the Strength Matters Process. The Strength Matters Process provides a visual illustration of the four key components of any successful health and fitness plan. This model applies to all types of clients and any goal. It provides a system of reference for us, as coaches, to quickly identify which quadrant we should be focusing on with every client. We then address and monitor each quadrant in this specific order, in an eternal cycle. We discussed at length the importance of each quadrant and agreed that the easiest habit to change was the walking. It’s a skill we all do every day, and there’s no avoiding it. Our theory was that if we walked more each day, we’d naturally want to drink more. 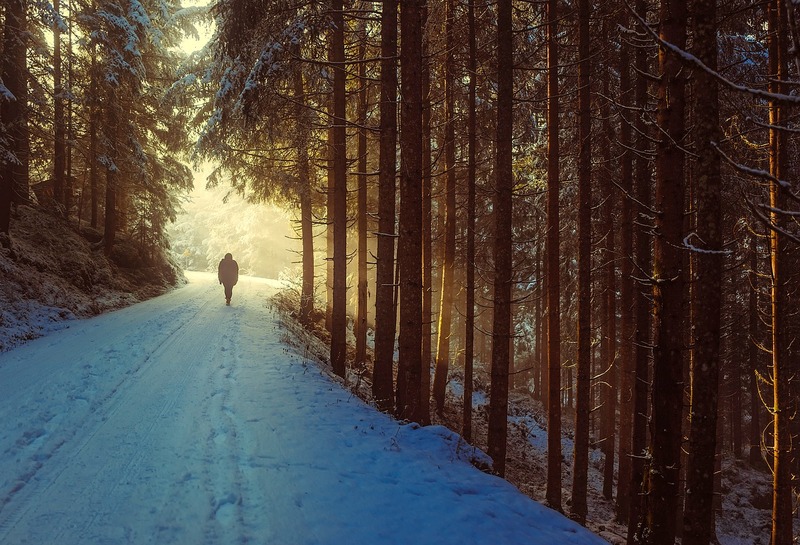 If we walked more, we’d expend more energy which would then improve our quality of sleep. In the next phase, we sought to achieve two goals with our clients: 1) to hit a perfect 100% compliance rate with their workouts (minimum twice per week), and 2) to take their daily step count to 10,000 steps. And they had 60 days to get there. We asked each of our clients to ensure they had some form of step tracking device. Most already had one or opted to purchase a Fitbit or Apple Watch. We asked for their total number of steps in the past 14 days and calculated the average daily step amount for them. We set a daily task that they were held accountable to through our tracking software. They had to hit their personalized average step count per day plus 500 steps. For example, if the average was 3500, we’d ask them to hit 4000 per day. Each day, the clients had to upload a picture of their step count to their coach to confirm they had done it. We asked them to continue as normal with their workouts but emphasized the most important factor each day was to hit their step target. After 60 days, we asked each of our clients to track their water consumption and sleep habits over the course of a week. And so, our little experiment began with a small number of ten people, ten very important people. 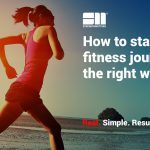 Over the first 14 days, every single client hit their daily step target. In fact, some were exceeding their average step count by as much as 2000 steps a day. After 14 days of complete compliance, we increased the step target. It varied from client to client: Some, we increased 1000 steps but, in one case, we added an extra 3000 steps to the original starting point. We continued in exactly the same way as before, asking them to complete their daily steps and their weekly workouts. We mostly deflected questions about nutrition, water, or sleep, and brought it back to the task at hand. Just keep walking. After 60 days, average workout compliance hit 81%, and client daily step count rose to over 7,000. Some even managed to hit 100% compliance with workouts and their steps were now in excess of 10,000. Walking increased by 100%. Water consumption increased by 60%. And sleep hours increased by 25%. The workouts stayed the same, but we stopped talking about diet and nutrition and everything else. We simply held each weight loss client accountable to walking a personalized number of steps each day. That was it. Oh, and while we’re at it, the average weight loss during this period was 11 pounds. The Domino Effect is the cumulative effect produced when one event sets off a chain of similar events. Our thought process: What if walking daily is the first domino in the weight loss Domino Effect? A 2012 study from Northwestern University found that when people decreased their amount of sedentary leisure time each day, they also reduced their daily fat intake. The participants were never specifically told to eat less fat, but their nutrition habits improved as a natural side effect because they spent less time on the couch watching television and mindlessly eating. One habit led to another. One domino knocked down the next. Our weight loss clients were beginning to see the Domino Effect in action. Workout consistency was up, water consumption was up, and average sleeping time was up. We had only asked them to walk a few more steps than they were used to doing each day, and we held them accountable to it. Our ultimate goal was to get everyone walking 10,000 steps a day as a habit they wouldn’t have to think about ever again. A number of our clients had already mastered the 10,000 steps a day rule and had successfully maintained their daily average. Maintaining over a period of 60 days is key. Remember, 66 days and it becomes a habit. That’s science. 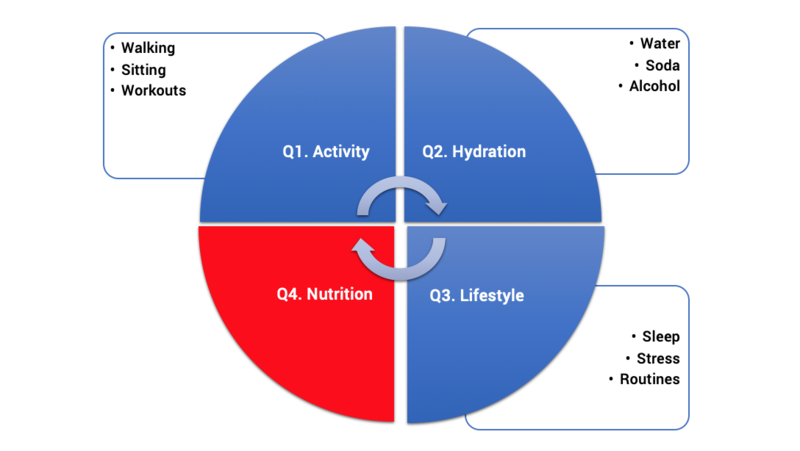 The priority for these everyday athletes was now to move to the hydration quadrant and monitor their water intake. Many were already drinking more water and had already successfully hit the target of 7-8 glasses a day. We monitored this for a period of two weeks, and if they had maintained this habit of 7-8 glasses of water a day WHILE walking 10,000 steps, we progressed to the sleep quadrant. For those who hadn’t quite reached 10,000 steps a day, we continued to work with them on finding ways to succeed. We looked at daily routines and other habits to help them overcome this issue. Walking and working out was still the priority. They were still Q1 clients. We just had to learn more about their daily routines and habits to help them get over this hurdle. The focus was on daily routines and habits to see which small changes we could do over time, e.g., park further away in parking lots, take the stairs more often, etc. They were like Roger Bannister before he first broke his 4-minute mile. Ten-thousand steps was their personal 4-minute mile barrier. We felt that once we helped them overcome this barrier, we’d see significant breakthroughs in other areas much more quickly. But the priority was still to walk more and more consistently so that it became a daily habit, a habit that was part of their everyday lives. 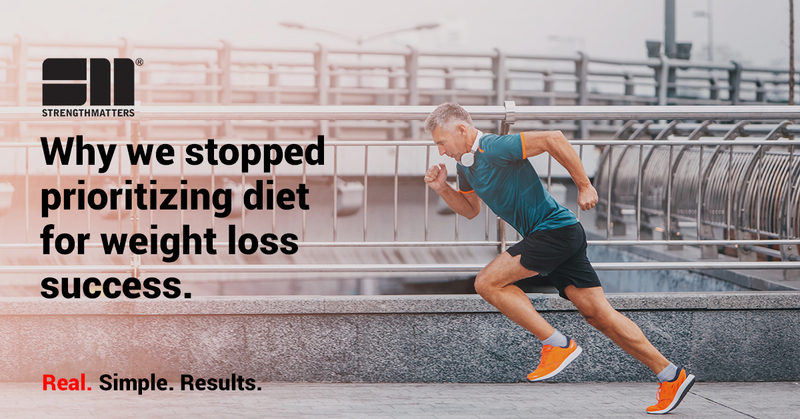 The things that remained consistent in all of our clients was that weight loss continued to increase and athletic performance continued to improve. Not only were they losing weight faster, but they were getting stronger and fitter, too. And their compliance rates stayed above the 80% margin. How Long Does it Take to Form a Habit? Backed by Science. James Clear. https://jamesclear.com/new-habit. Published March 6, 2014. Accessed January 14, 2019. The Domino Effect: How to Create a Chain Reaction of Good Habits. James Clear. https://jamesclear.com/domino-effect. Published July 19, 2016. Accessed January 14, 2019.